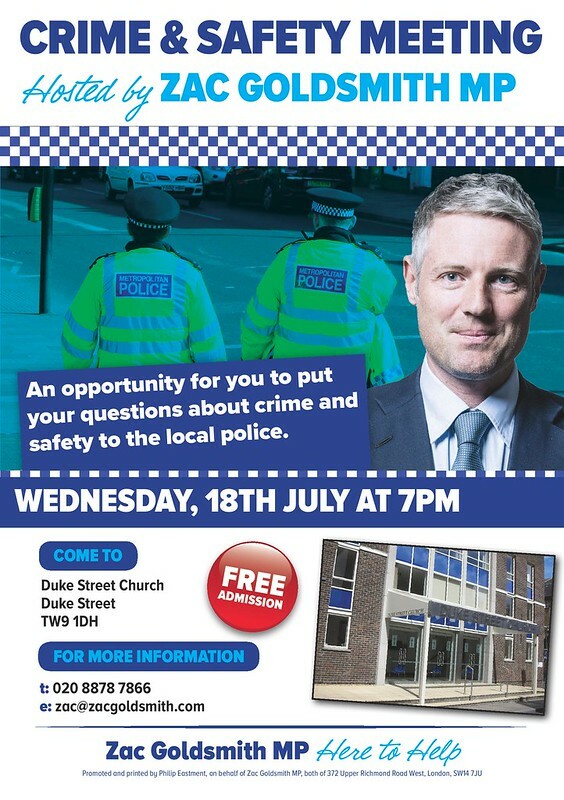 On Wednesday 18th July, at 7pm, Richmond Park and North Kingston MP Zac Goldsmith will host a public meeting on crime and safety. The meeting will be open to all residents of the constituency and local police will be present to answer questions. The meeting will be held at the Duke Street Church, Duke Street, Richmond, TW9 1DH.